Trujillo is a city in northwestern Peru. It is located on the lower Moche River, near its mouth on the Pacific Ocean. 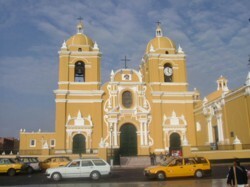 Trujillo is the capital of the La Libertad Region , and is the third-largest city in the country, behind Lima and Arequipa. Tourism is also a major industry in Trujillo due to the city's closeness to important sites where the Moche and Chimu civilizations evolved. Trujillo aspires to be considered a World Heritage Site, because of the proximity of both those cultures and its historical colonial city centre whose old houses attract many visitors. 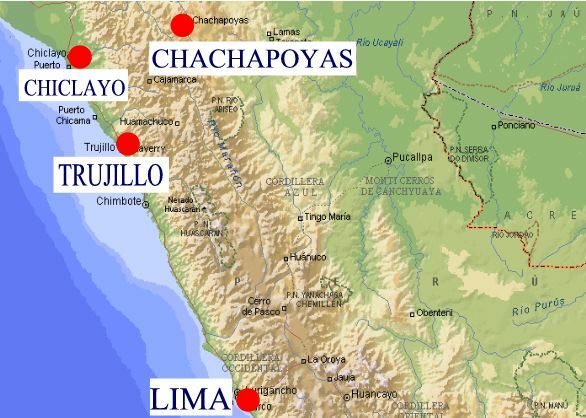 Nearby ruins include the Chimu mud city of Chan Chan, and the Moche ruins of Huaca del Sol, Huaca de la Luna, and El Brujo. The world-famous beach Huanchaco, a surfing destination, is located just north of Trujillo. In addition, the revolutionary leader Simon Bolivar lived in a house on the Plaza de Armas.